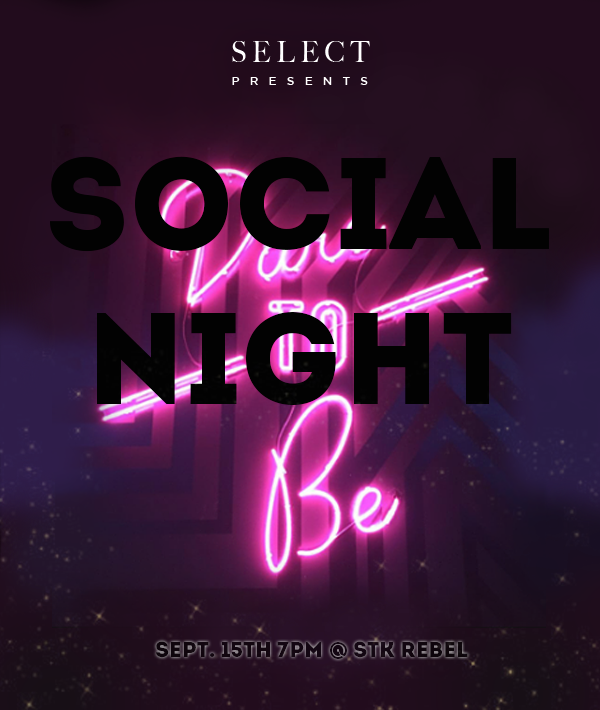 On Thursday, September 15th, join us as we gather for this month's edition of SELECT Social Night. This installment will be a cocktail reception at the newest addition to the chic lineup of STK steakhouse lounges, STK Miami. Set inside the brand new ME Miami Hotel, STK Miami promises to be "refreshed, yet edgy". A selection of complimentary cocktails and wine will be served as part of a 2 hour open bar from 7 to 9pm. The open bar will be followed by an extended happy hour for members, where all food and drink will be 15% off. Tickets for this event have sold out. We look forward to seeing you at our next event!